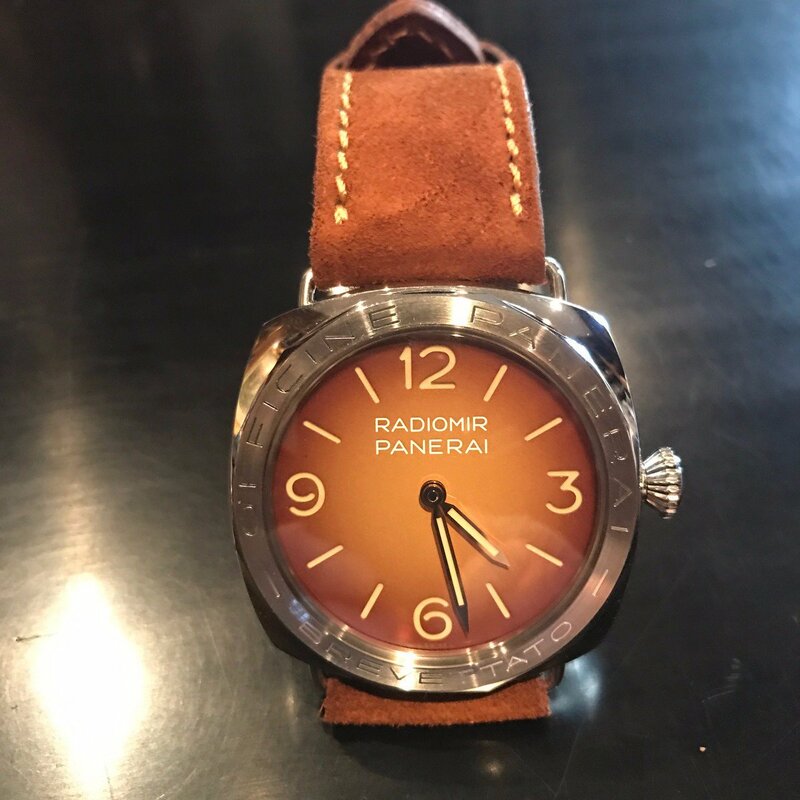 DS 002 – CLASSIC VINTAGE BRUNO The original BRUNO strap was first introduced in 2005 and Panerai collectors worldwide immediately recognized the traditional high quality 1940’s vintage leather as the perfect partner for their Panerai watches . . . historic . . . contemporary . . . and vintage collectors alike. This same BRUNO hide withstood the punishing sea water wash used on the now famous BRUNO ALLEGRINI Diver straps . . In fact the name BRUNO has become synonymous with Simona Di Stefano straps and so called in respect for Simona’s Grand Father Mr Bruno Allegrini who owned several leather tanneries in Tuscany Italy.